The minimum waiting period for an uncontested divorce in Texas is 60 days after filing the petition. However, most divorcing couples need more time to work out a settlement or prepare for trial. Delays or postponements may occur for a variety of reasons but generally even contested divorces are finalized within 12 to 18 months or less. Filing for divorce does not prevent the couple from trying to reconcile while the case is pending. If the efforts are successful, the person who filed may withdraw the petition. Otherwise, the couple may finalize the divorce under the usual procedure, either by agreement or at a final hearing. Section 6.505 of the Texas Family Code also allows the judge to postpone the divorce for 60 days while the spouses and children attend court-ordered counseling if there is a reasonable expectation that the parties could reconcile. If one of the spouses is on active duty military service, his rights under the Servicemembers' Civil Relief Act of 2003 may trigger delays in the proceedings. If, for example, he is stationed in another state or overseas, he may ask the judge to postpone the proceedings until he is available to appear in court at a contested hearing. If, on the other hand, the spouse who filed the case has not served the active duty member with notice of the proceedings and he has not filed an answer, the judge must delay the final hearing and appoint an attorney to represent the servicemember's interests. Delays are not mandatory, however, and the active duty spouse may waive his right to appear in court if he wishes. Illness or a family emergency may prevent a party from appearing at the final hearing. If the case is uncontested and the parties have signed an agreed final decree of divorce, only one spouse needs to appear at the final hearing to prove up the case. If the case has been set for a contested hearing, however, both parties need to appear to present their evidence. If the scheduling conflict is known in advance, the parties may be able to reset the case by calling the courthouse or filing a written agreement with the appropriate clerk. If the issue arises on the day of the hearing, the available party should appear in court to explain the problem to the judge and request a continuance. Each county publishes local rules to address these and other types of procedural issues. 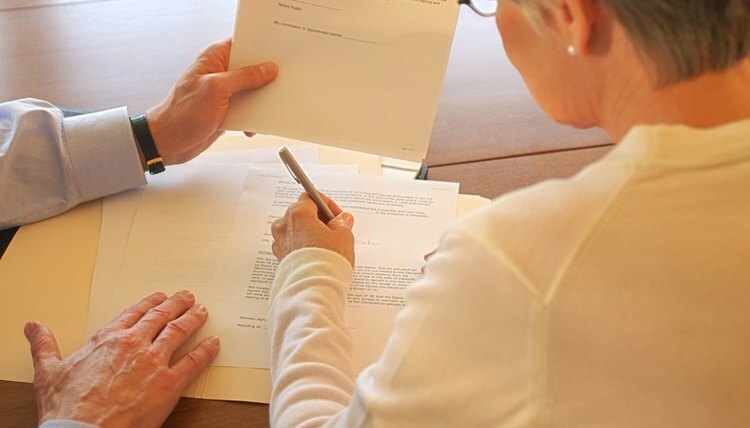 Any failure to follow the procedures for filing, serving the other party, setting hearings, drafting the final decree of divorce or participating in court-ordered parenting classes, if applicable to the case, could delay the finalizing of the divorce. To ensure that all applicable procedures are properly followed, parties should check the Texas Family Code as well as their county's local family court rules and standing orders, if any. In some Texas counties, for example, parties representing themselves must submit the final decree of divorce to the judge for approval before setting the final hearing. What If the Respondent Refuses to Sign the Divorce Papers in Dallas County, Texas? A judge uses a pretrial conference to review the status of your divorce case and plan out the next steps for your divorce. Status conferences keep your divorce proceedings on track and help simplify the legal issues that must be resolved at trial, such as property division, child custody, child support and spousal support. A complicated divorce with many unresolved issues often requires more than one pretrial hearing.